My friends and I decided to go to downtown Pasig and have dinner at the famous Ado’s Pansiteria. On our way there, I had a different thought of where to eat. It has been more than a decade and I have always dreamt of tasting it again. So when we got to settle down after ordering Ado’s famous pansit, I had to excuse my self. As popular and delicious Ado’s is, people had little idea that Pasig’s true hidden gems are along the small eskinitas along Baranggays Bambang and Malinao. So I went to the other side of the street passing the small eskinita beside Ado’s. I had to try my luck if it is still operating. I was a bit nervous going there, Ester’s Tapsihan is situated beside my late Mama Becca’s old home. Since my Mama’s passing, I never had the courage to go back even when I craved for it almost all the time. Lucky for me I got there while they were preparing for a food bazaar. Aling Ester took time before recognizing me as the little boy who would usually order tapsilog from her through my Mama Becca. I remember back then, she’d always give me a little extra in every order and would usually refuse my Mama Becca’s payment. And since it was a once in a lifetime chance, she had to cook her delicious tapsilog for me even if she was not supposed to operate that night yet. I enjoyed watching them prepare the food for me. It was as if I went back to being a kid again when I would usually observe them how they do their magic. Nothing beats nostalgia. I do not want to exaggerate the experience for you though. 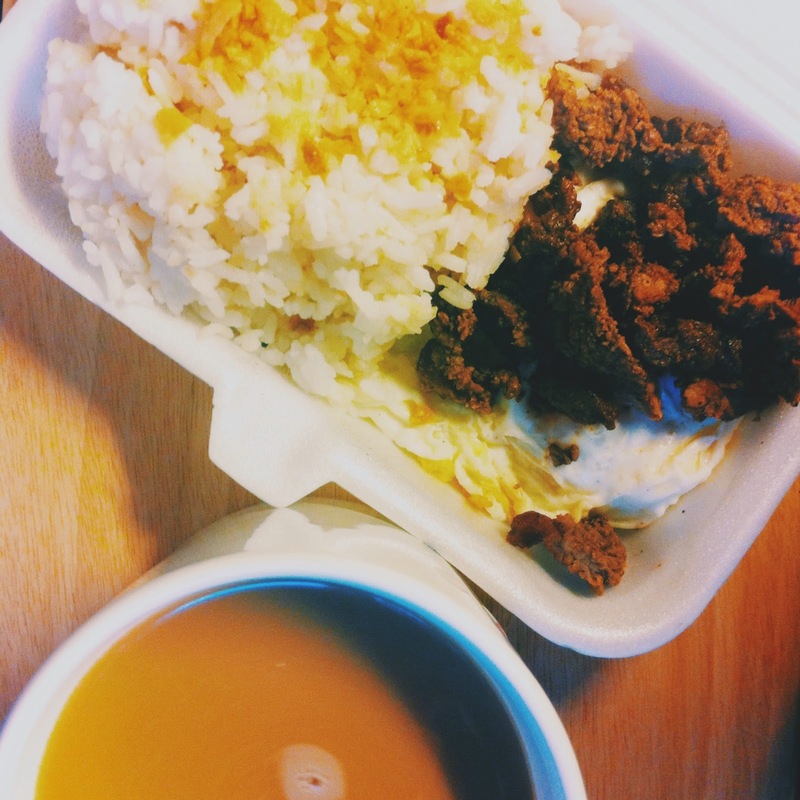 Aling Ester’s Tapsilog is like any other tapsilog. It’s just that I grew up loving to eat it that it became my standard in tapsilog. Something even I could not replicate even when I have watched how they did it a lot of times already. Their beef tapa is the salty type; which is just the way I like it. I never really enjoyed the sweet style of tapa ever since. Their sunny side partnered with the best garlic fried rice in the world is just phenomenal for me. It is a simple tapsilog, nothing fancy, but with a little dash of nostalgia; it becomes the best for me. Now, aling Ester has expanded their business. Aside from tapsilog, they ventured into food catering, packed meal deliveries, baked goods and rice cakes and so much more. You can try to locate their store along E. Jacinto Street Malinao Pasig City. By the way, they now make 2 of my favorites as well, the Pasigueno’s Puto’t Laksa and Yema Cake. So for your packed meals or catering needs, you can check them out at their store which usually opens at night time or contact me for referral. Napaisip tuloy ako kung ano yung pagkain noong bata pa ako na gusto ko ring balikan. sa karamihan it is jollibee. ung iba lutong bahay ng kanilang ina, para sa akin, itong tapsilog na to.